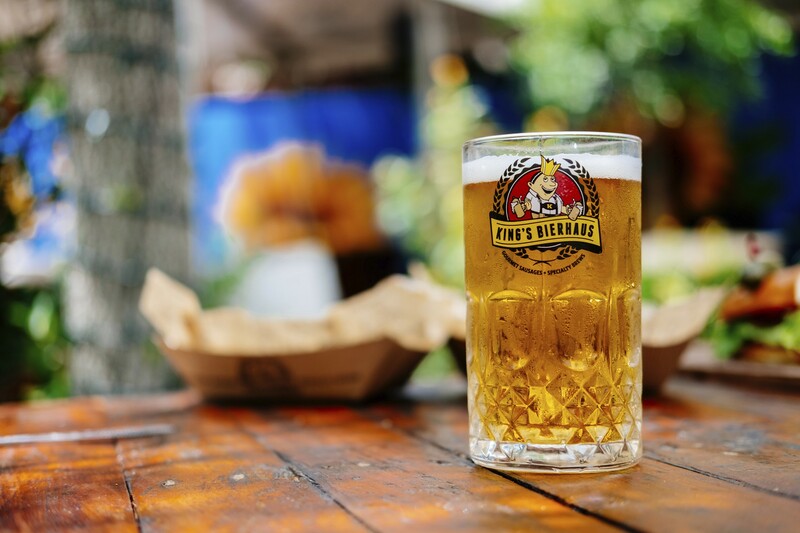 King's Bierhaus and Biergarten will trade German beer for Margaritas on April 1. Photo courtesy of King's Group. 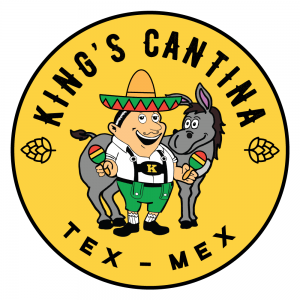 The one-night-only King’s Cantina logo. Image courtesy of King’s Biergarten. Guests who visit (and can trust that these German-American restaurants are also going to turn out fine renditions of Tex-Mex dishes) are being treated to festive decorations, live music and even new staff uniforms. Expect chips and queso, cheese enchiladas, chicken quesadillas and carne asada tacos. Tex-Mex cocktails to go along with the special menu cost $10 each and include Palomas, Micheladas, Melon Margaritas and Mangonadas (made with vodka, mango, chamoy and tajin). Fans of the original concept might be relieved to know that after April Fools’ Day, everything at both beer gardens is going back to normal. Get more information or keep up with the shenanigans on the “King’s Cantina” Facebook page.